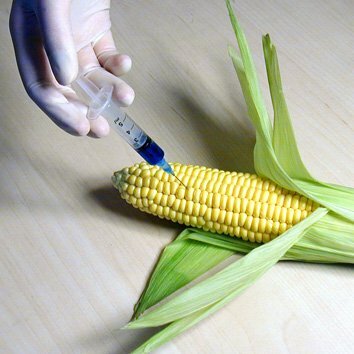 If you doubt that Genetically Modified (GM) foods threaten your body, here is a recent report from Russian biologists. They conducted what they thought would be a “routine” study of the long-term effects of the consumption of GM soy feed among a hamster population. For the first generation, the only untoward effects seemed to be constipation. The second generation didn’t seem too much the worse for wear either. But the third generation showed serious ill effects and turned out to be completely sterile. Hamsters are not human beings and more research needs to be done, but other studies also point to reproductive ill effects. Eating frankinfoods would not seem to be the best form of birth control! In addition to the unknown but increasingly documented risks of ingesting organisms that are completely new to the human body, we also need to worry about contaminants found in GM foods such as Monsanto’s “Roundup Ready” herbicide. It should also be noted that GM food issues have for the first time found their way to the US Supreme Court. A lawsuit brought by organic farmers and The Center for Food Safety pointed out that biotech alfalfa would spread uncontrollably and take over US pasturelands. True organic beef would become an impossibility since all cows would be potentially exposed to the GM alfalfa. A federal judge agreed and halted the sale of biotech alfalfa from Monsanto until the USDA could do a full-scale environmental impact study. The Supreme Court will decide if the federal judge had the constitutional right to take this action and a decision is expected in late summer. If GM leads to human sterility in succeeding generations, would we like to see all beef products contaminated? Even vegetarians will face the consequences when they try to farm GM contaminated land. This is a big, big issue and our thanks to The Center for Food Safety for defending common sense and fighting Monsanto in the Supreme Court. Earlier this month, The [international]Codex Committee on Food Labeling met to discuss whether Genetically Modified food could be labeled “organic”. The decision remains to be made, but in this case the Europeans, whom we generally condemn for their ridiculously restrictive approach to supplements, are fighting the good fight and are expected eventually to carry the day. It is of course appalling that this matter is being debated at all, and that it will eventually be decided based on the political weight of the different countries and regions. We do not need food decisions based on politics, nor bureaucratic meddling in organic standards, which began outside of government, and which just get watered down by government officials charged with protecting us who really answer to commercial interests. A recent poll, conducted by the U.S. Consumers Union, found that two-thirds of US consumers would be concerned if they thought that GM ingredients were in organic food. There is overwhelming public opinion support for GM labeling, and more than 80 public health, environmental, and agriculture organizations are working to ensure genetically modified foods are labeled as such. Who is working in the opposite direction? The GM and food producers of course– and their powerful ally the US government.